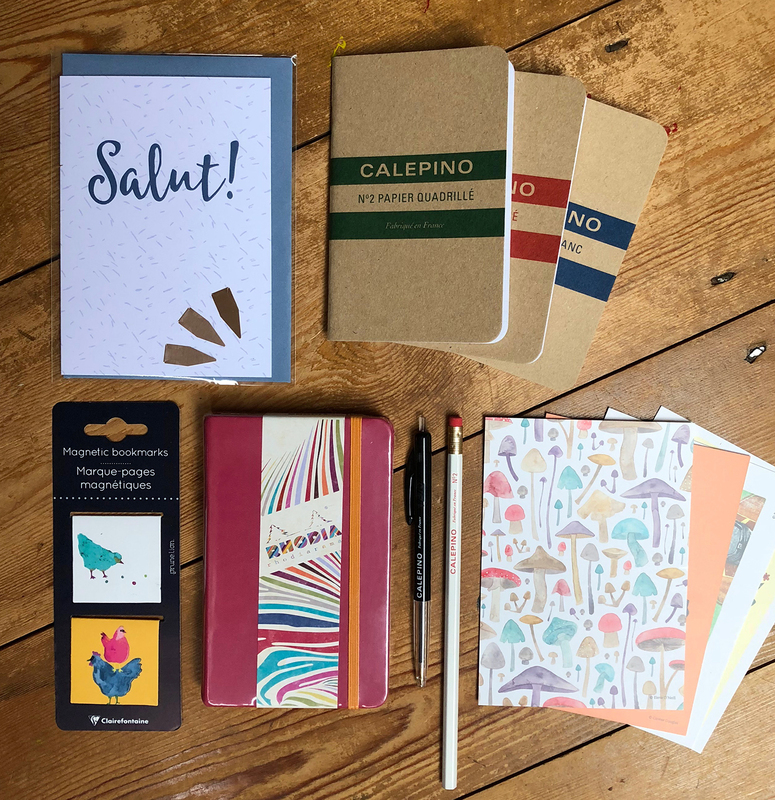 The perfect stationery collection for Francophiles everywhere! Rhodia hardcover pocket notebook with 192 lined pages, set of three Calepino pocket notebooks, - one plain, one lined and one squared - Calepino pen and pencil, two Clairefontaine magnetic bookmarks, "Salut!" greetings card, three Calepino copper-coloured page markers and a set of four exclusive illustrated postcards.